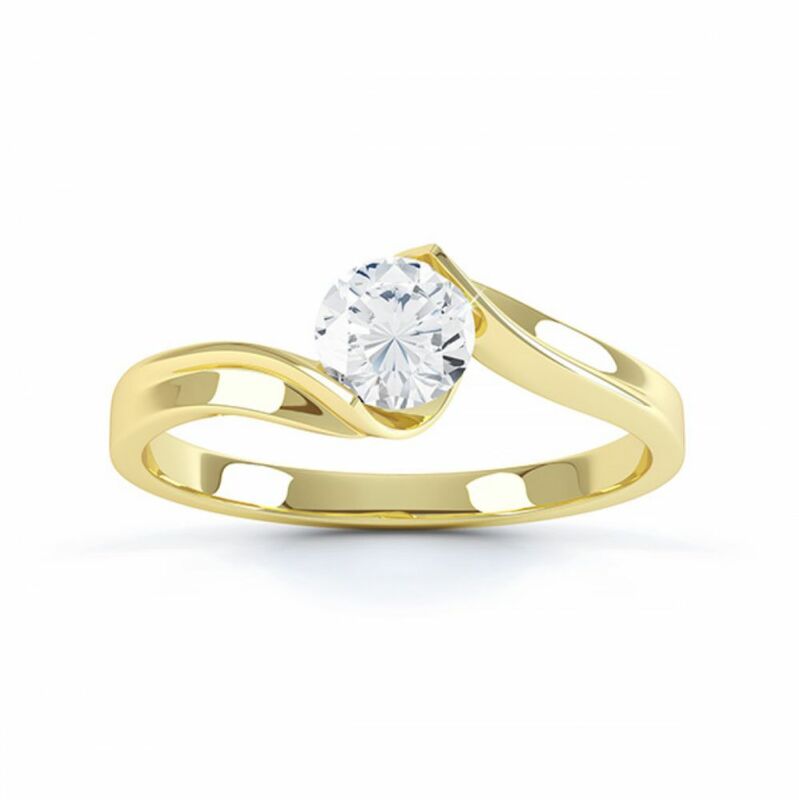 The Unity engagement ring features a delightful open setting. Set with a round brilliant cut diamond, the twist design rises to embrace the diamond within a tension styled setting. The simple, breathtaking design sets alight the beauty of your diamond with a truly modern, and minimalist setting style. Unity reveals the dramatic beauty of a modern Round Brilliant cut Diamond. Deceptively simple styling exposes the detail of all 57 Diamond facets. Tensioned between each side of the setting, the Diamond is open to the passage of light – revealing brilliance and scintillation. Embraced by elegantly contoured shoulders the Diamond rests above a comfortable court shaped band. Once you have chosen your precious metal and Diamond options, we will create the perfect Diamond engagement ring for you, meticulously crafting your commission over 4 weeks. The ring will arrive impeccably presented in bespoke packaging – arriving by secure courier, fully insured to your door. Photographs below show the Unity engagement ring - Platinum 0.50 carats, 0.80 carats, and finally 1.20 carats. When the time comes for you to choose a wedding ring, we can create a bespoke design to flow around the graceful curves of the Unity design. Choose from a plain or diamond set shaped wedding ring from our bespoke shaped wedding ring service. 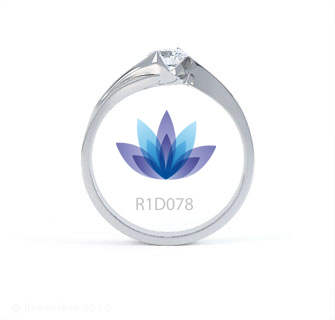 We will create the perfect shaped wedding ring for you working with the original engagement ring. 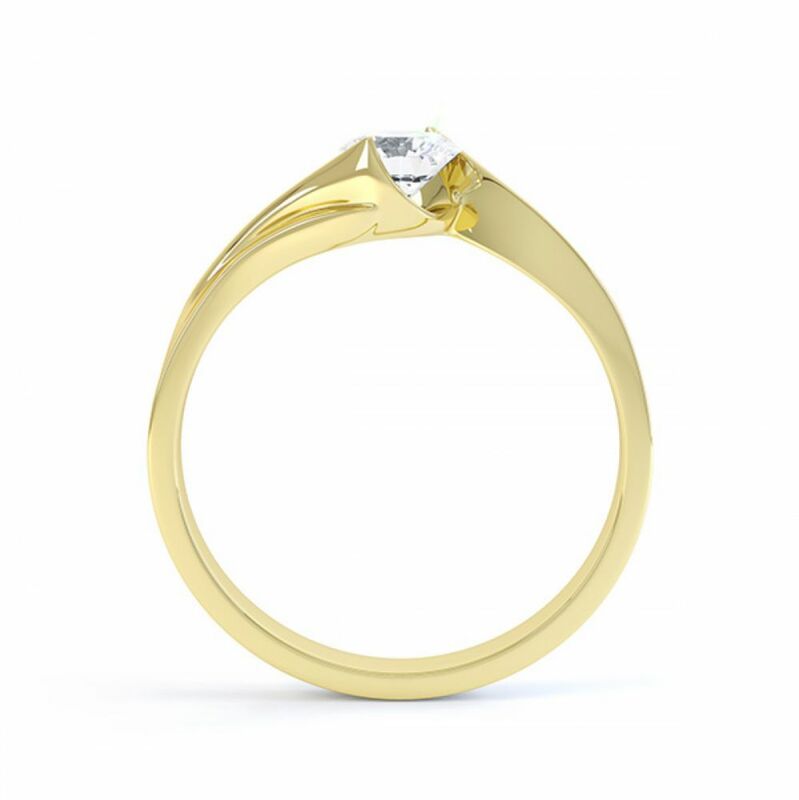 If you are based overseas, talk to us about commissioning the advance shaped wedding ring model which we can hold on file until a later date ready to create the wedding ring ahead of the big day. Unity, photographed in 950 Platinum, set with an E colour diamond weighing 0.40cts. The 1 carat 'Unity' design shown alongside a bespoke plain shaped wedding ring created to fit seamlessly to the ring. 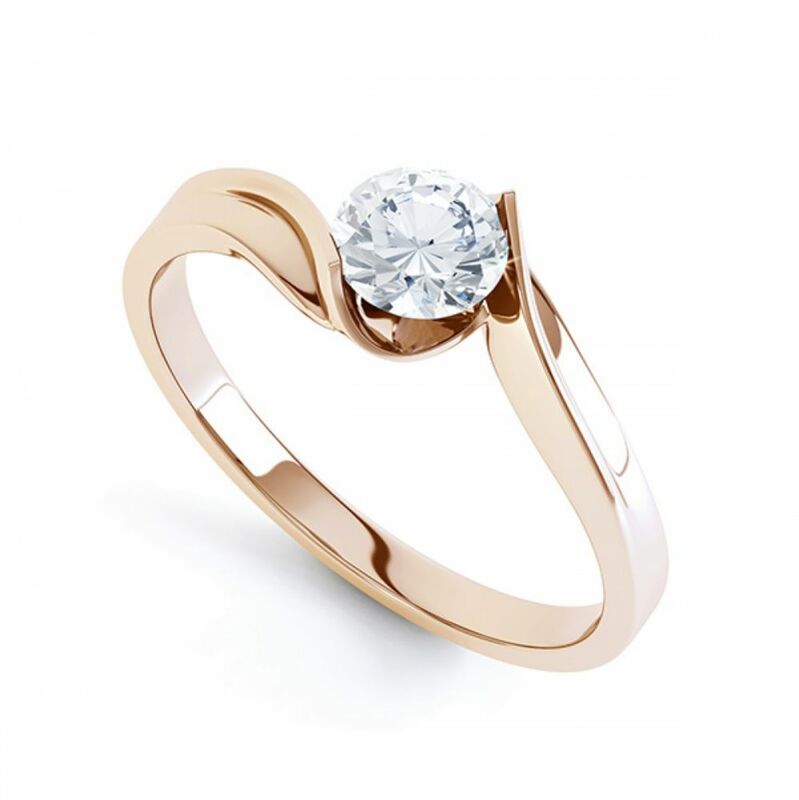 If you are looking for alternative styles for the Twist engagement ring, be sure to look at our related article outlining some of the many twist ring designs available at Serendipity Diamonds. Service rating : Serendipity Diamonds are quite simply THE BEST jeweller I've ever dealt with! I was skeptical about ordering something as important as an engagement ring online, but it was the best thing I ever did - my fiancée absolutely loves the piece and the quality is stunning. Was a real winner - she just HAD to say yes!! Service rating :Superb service from start to finish, great communication and always answered my questions when asked. Prompt delivery of product less Han 24 hours of payment. Service rating :Genuine!!! Helpful, kind, honest company. They were happy to stay on the phone for as long as it took to answer any questions I had and they did not try to over sell for extra profit e.g. honest. Anonymous Thank you, for taking the time to provide an image also, it looks beautiful. Love this ring, I liked the twist design as soon as I saw it and couldn't find any with a similar design anywhere. Fanstastic and really happy with my ring. Product : Looks fantastic and most importantly My new fiancé loves it too.